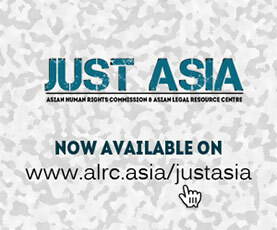 A Joint Press Release by Advocacy Forum – Nepal (AFN), the Asian Legal Resource Centre (ALRC), REDRESS and the World Organisation against Torture (OMCT). Geneva/Hong Kong, 3 November 2016. Advocacy Forum-Nepal (AFN), the Asian Human Rights Commission (AHRC), REDRESS and the World Organisation against Torture (OMCT) made a stakeholder submission to the Universal Periodic Review of Nepal taking place on 4 November 2015. The submission details the continued impunity for serious human rights violations committed during the armed conflict and highlights the ongoing and systematic practice of torture in detention. Although Nepal has been facing various challenges, justice cannot be sacrificed. We are deeply concerned about the government’s continuous refusal to address impunity and the denial of justice for victims of human rights violations during armed conflicts. From 1996 to 2006, Nepal was gripped by an internal armed conflict between security forces and the Communist Party of Nepal, with both sides being responsible for serious human rights violations. Despite promises made during the last UPR review in 2011 to investigate and prosecute those crimes, Nepal has failed to take effective actions. No members of the military, the police, the Armed Police Force or Maoist groups have been brought to justice. Furthermore, those accused of serious human rights violations are promoted to higher government position. Legislation passed last year to establish a Truth and Reconciliation Commission and Enforced Disappearances Commission circumvents justice processes and paves the way for further impunity. At the same time, victims face numerous obstacles when seeking justice. The police have systematically refused to register complaints, which is indispensible for the prosecution of any crime. In addition, the previous Attorney General, the Nepal Army and the Communist Party of Nepal have interfered with police investigations by threatening key witnesses or by misusing the power to withdraw charges. The entrenched impunity for past crimes committed allows for ongoing human rights violations in the country. The stakeholder submission details Nepal’s systemic practice of torture in detention and the lack of implementation of recommendations by the Committee against Torture. Nepal has neither passed legislation that criminalizes torture, nor has it put a system in place that allows for meaningful redress or adequate compensation for torture victims.Torture and ill-treatment for the purpose of obtaining confessions is still practiced as a method of criminal investigation. – ratify the Optional Protocol to the Convention Against Torture, establish an effective National Preventive Mechanism, and provide for full redress to victims of torture in compliance with the Convention against Torture. The organisations’ submission to the UPR is available here:http://www.redress.org/downloads/publications/150322UPR_Nepal.pdf.